Happy travels with Be. better, mark. and Jouviance! Be better Sunscreen Lotion SPF 30 - 60ml - $3.99 and Be. better Sunscreen Sport Spray SPF 30 - 50ml - $3.99 - offers lightweight, fast-absorbing broad spectrum UVA/ UVB protection in an innovative formulation using natural ingredients such as green tea extract, moistening aloe, safflower and vitamin E and olesosomes technology - a unique emulsifier and delivery system found naturally in plant seeds - olive based - so it has less active chemicals and more natural ingredients that protect, nourish and moisturize skin and is very water resistant up to 80 minutes. mark. Makeup Brush Container - $22 - fits 11 full-size brushes (the whole mark. Makeup Brush collection actually) in it's snake-embossed faux leather bottom which is protected by a snap-on canister top. Jouviance 3-in-1 Anti Age Rejuvenating Anti-Aging Cream - 50ml - $93.50 - in normal to dry sensitive and combination sensitive formulas - the ultimate 3-in-1day, night and eye anti-aging cream that reduces the appearance of fine line and wrinkles, boosts firmness and elasticity, increases collagen production by 258% and hyaluronic acid production by 174% for visible results in as little as 4 weeks. It's also a great complement to aesthetic treatments such as botox, fillers and laser treatments. The formula contains Matrixyl 3000, Dermaxyl and Rigin - a concentrate of peptides to firm skin and reduce the depth of wrinkles; ceramides - to restore the skin barrier and capture and retain water; Imperata cylindrica - provides long-lasting hydration and stimulates the production of hyaluronic acid; and omegas 3 and 6 - to protect against environmental aggressors while acting as an anti-inflammatory for a smoothing anti-wrinkle effect. What's also great is what it doesn't contain including parabens, sulphates, phthalates, unicorn tears, mineral oils, colourants, artificial fragrances, animal-based or potentially irritation‑causing ingredients. 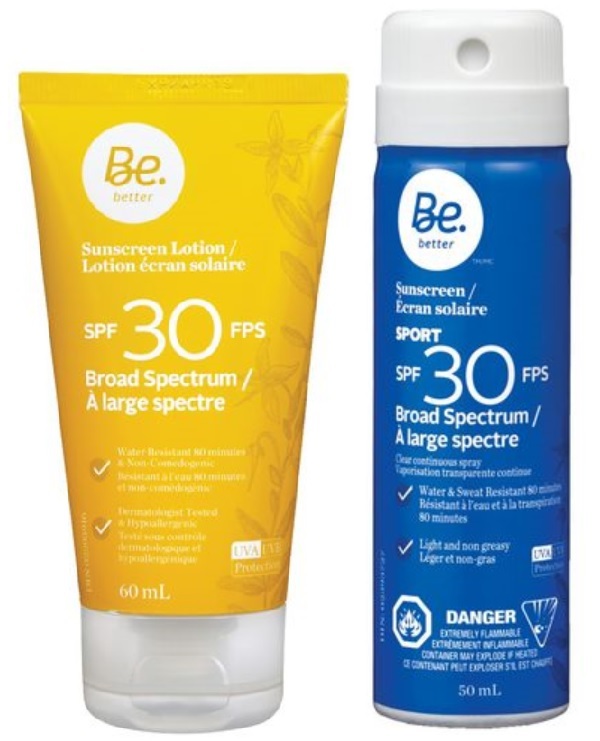 I didn't know Rexall's private label had sunscreen and it was so affordable! Awesome!